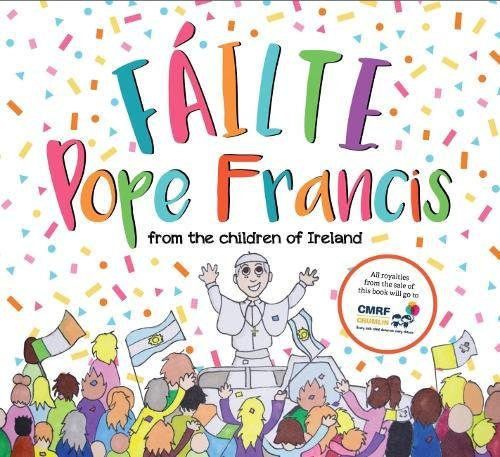 This book started when The Irish Catholic launched a Fáilte Pope Francis competition to celebrate the World Meeting of Families and the expected visit of the Pope Francis in August 2018. The competition asked the children from all over the island of Ireland, aged 6 to 9, to draw a picture and write a letter of welcome addressed to Pope Francis. The response from primary schools was so overwhelming, one cuter than the next, that the decision was made to publish a book with the most engaging entries. This is an eclectic mix of images expressing the children’s large imaginations and their robust curiosity. Only a young child would dare to invite the Pope over for a cup of tea and a bun, and there are no better words than those of a six-year old to describe how much of an inspiration Pope Francis is to the world.Fáilte Pope Francis is a beautiful gift for First Holy Communion and all royalties go to The Children’s Medical and Research Foundation (CMRF).